The Penguins beat the NHL's best team. PITTSBURGH — Kris Letang tied Hall of Famer Paul Coffey’s franchise record for career goals by a defenseman, Matt Murray stopped 33 shots and the Pittsburgh Penguins held off the Tampa Bay Lightning 4-2 on Wednesday night. 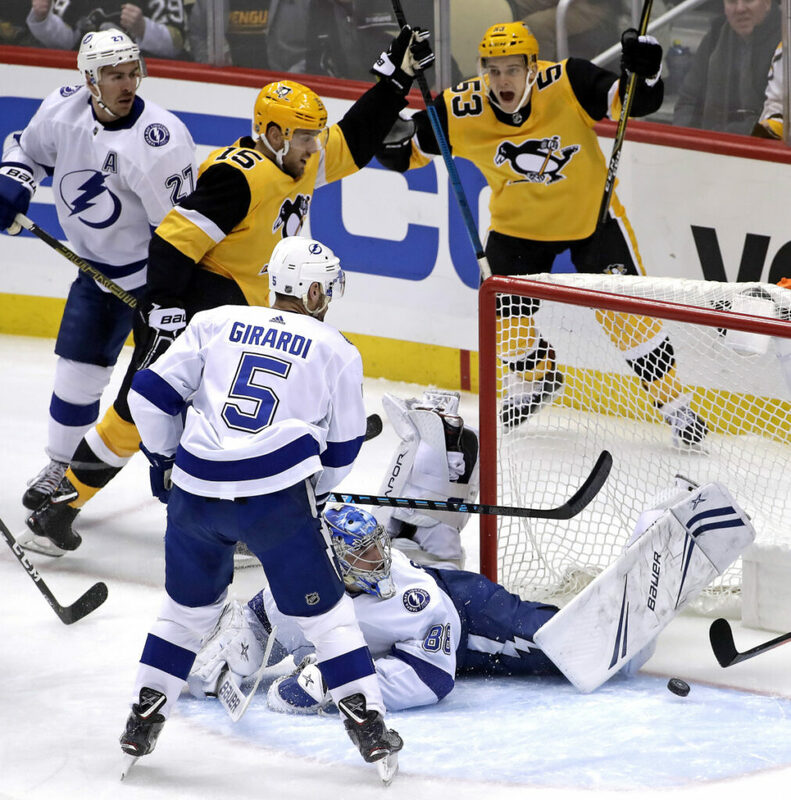 Murray withstood an early barrage by Tampa Bay to hand the Lighting – the highest-scoring team in the NHL – just the fourth regulation loss in their last 25 games. STARS 1, SABRES 0: Former UMaine goalie Ben Bishop stopped 30 shots to back Jamie Benn’s first-period goal, and Dallas won at home. Benn scored 8:39 in off a pass from former Sabre Taylor Fedun. Benn stickhandled to the front of the net, put the puck on his forehand and sent a wrist shot inside the right post.